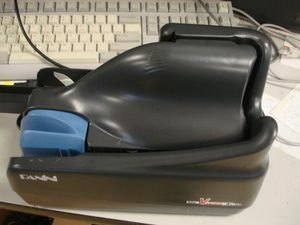 Very fast Panini My Vison X Check scanner 60document per minute. Refurbished and comes with 90 day warranty. Feel free to call us for repair or exchange on this and other banking product. Very fast Panini My Vison X Check scanner 60 document per minute with ink endorser. Refurbished and comes with a 90 day warranty. Feel free to call us for repair or exchange on this and other banking product.